Android software development is becoming a popular pick for various IT professionals and developers these days due to the soaring demand of Android and related products. This is the process with the help of which new app can be created using this robust operating systems. Android apps basically use the Java programming languages and rely on the use of Android Software Development Kit or SDK as it is popular known. More than 75, 00,000 applications have been developed for Android devices till date and hundreds are added each day. 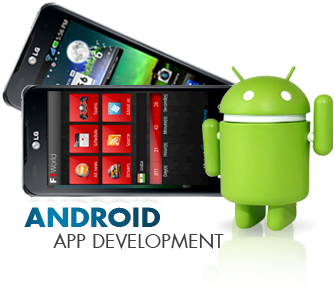 Following are some of the most popular software development tools for Android. 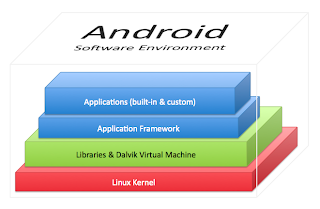 Android SDK consist of a wide range of development tools that includes libraries, debugger, handset emulator based on QEMU, sample code and tutorials. This kit is supported by various computer OS including Linux, Windows XP or later, Mac OS X 10.5.8 or later etc. The various enhancements to the SDK go along with the overall Android platform development. Another good thing about the SDK is that it supports older Android platform version in case the developer wish to target application of the older devices. The apps are packed in .apk format and stored in the folder /data/app on Android OS. The folder can only be accessed by the user just to prevent any unauthorized access. This is a diagnostic protocol which includes the SDK package and is primarily used for modifying the flash file system through a USB connection from host computer. While use this, you need to restart the device in a boot mode which allows only the basic hardware initialization. Once you have enabled the protocol in the device, it will accept a specific set of commands that you will send using a command line. Android version 3.1 introduced the Android Open Accessory Support that allows the USB hardware to interact with the android device in a mode called “accessory”. When the device is in “Accessory” mode, the connected accessory acts as a USB Host and the device act as an USB device. The Android USB accessories are designed to attach to the Android device and adhere to just a simple protocol which allows them to detect the android device that supports this mode. This is an on device interpreter that provides the user an easy access to the sensors, hardware, sound, graphics and file system, GPS, math, sting function apart from the other essentials. This is an open source product that helps the user to design or developer full fledged APK Android files. The development of RFO Basic is active and there is a strong community online that will help you in you designing the best of Android apps. Anzer Khan is a professional article writer and specializes in study related articles. He is a technology lover and loves to read books and listen to music. If you want to learn about the Android Software Development then you need to clear Android Certifications and Examcertify US will be of great help in this regards. For any article writing or guest post assignments, you can contact him at anzyyy@gmail.com.